Who would have thought that a contact lens could be used for more than providing clear vision? In fact there are many researchers trying to take advantage of these lenses intimate relationship with the eye. One such project involves diabetes, a disease affecting almost 30 million people in the United States alone! The current technology and procedure for monitoring diabetes is a rather invasive and primitive process. However, researchers from Oregon State University are working towards developing a bio-sensing contact lens that may advance the technique of medical care for diabetes. This lens will be able to utilize “ultra-thin transistor technology” and the biochemistry of glucose (sugar) to measure slight changes in glucose levels present in our tear film. When glucose shows up in the tears, chnages take place in the chemistry of our tears. This shift causes an electrical current to flow to a transistor in the contact lens, which can then be transmitted onto a personal device such as your iphone. 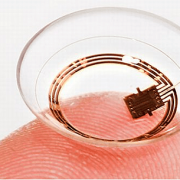 The prototype will allow diabetic patients to monitor their own blood glucose level with a simple contact lens rather than having to prick their finger every day! 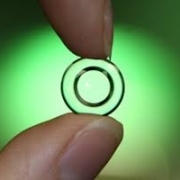 There is a lot of optimism and high hopes for this technology, despite the contact lens being in the very early prototype stages. Researchers want to expand the spectrum of diseases that the contact lens is able to detect to include glaucoma, renal failure, cancer and other debilitating ailments. As of right now, the researchers are hoping to be able to proceed to animal trials in the coming year. 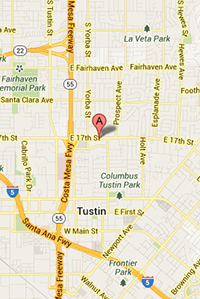 Blog contribution by Richard Nguyen Optometry Intern, College of Optometry, Western University of Health Sciences. 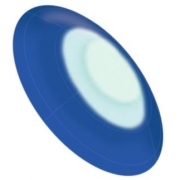 For years we have had bi-focal or multi-focal soft contact lenses. These lenses, aimed at providing both near and far vision without the use of reading glasses, often fall short of useful vision. Problems include glare, haloing, and loss of stereo vision. Fortunately a newly designed lens is available with 3 zone optics that place these obstacles in the past. Introducing the Bausch and Lomb Biotrue for Presbyopia contact lens. Never before have I achieved such great patient satisfaction. Last week, after being fit with the lens, a patient left saying “I cannot believe an eye examination could be so great”. So what is the difference? There are two contributory factors. 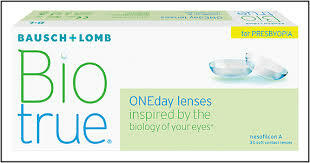 For one, the lens material is the same as the Biotrue Daily. A lens made of 80% water, it’s like placing a bag of water on the eye. Literally you cannot even feel the lens on eye. And this is extremely important. The feeling of a contact lens on the eye relates to how dry the surface of the lens becomes throughout the day. A dry eye will inhibit good optics through the lens and lead to blurred vision and tired eyes. Biotrue contacts are designed to prevent loss of water. Second, the fresh multi-focal design assures clean optics at 3 distinct zones. In the past, contacts were focused mainly on 2 areas. Now, distance, computer and reading vision are satisfied with Biotrue for Presbyopia’s optics. These lenses are certainly a valuable part of my lens library. I will say that they are lenses that require a careful examination. I study a patient’s visual demand by discussing occupation, daily routine and hobbies in detail. Special time is set aside for each multi-focal contact lens evaluation. Additionally, these lenses require an adaptation period. As with other advanced prescribing, I talk to patients about letting these lenses settle for the first 1 week or so. Feel free to comment or send me your thought on using multi-focal contacts. Wouldn’t it be great if you could correct your eyesight and reduce your dependence on glasses or contact lenses — without having to undergo eye surgery? Orthokeratology (ortho-k) is the fitting of specially designed gas permeable (GP) contact lenses that you wear overnight. While you are asleep, the lenses gently reshape the front surface of your eye (cornea) so you can see clearly the following day after you remove the lenses when you wake up. GP contact lenses are not the same as the soft contact lenses that you may already wear; instead they are made of a firm, durable plastic that transmits oxygen. How does an Ortho-K lens work? Ortho-K lenses are custom made for each individual, but not everyone qualifies for this corneal refractive therapy. Two important factors that determine the candidacy for orthokeratology includes the curvature of the eye and the prescription. Your eye care practitioner will measure the exact shape of your cornea and prescribe lenses with the curvature, size, and corrective power that suit your eyes. Ortho-k is recommended for low to mild nearsightedness (-5 diopters or less). When you begin to wear ortho-k lenses, you will likely have mild awareness of the lenses on your eyes until you fall asleep. Because the corneal reshaping effect is temporary, little risk is involved, and you can discontinue wearing the lenses at any time. In summary: no glasses, no daytime contacts, no surgery, 20/20 vision…no kidding! 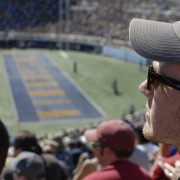 Blog contribution by Eric Saidi, Optometry Intern, College of Optometry, Western University of Health Sciences.